Underwriters Laboratories (UL NFP), the not-for-profit parent of UL has flagged off a unique and multi-dimensional initiative across 10 cities in India, the National Safety Science Campaign (NSSC). Promoting safety education for children is a key initiative for the UL NFP in advancing the organization’s public safety mission. The NSSC is a sustained commitment to improve the safety culture in India by harnessing the academic and creative potential of students to transform them as safety ambassadors. The campaign is an evolution of UL’s National Safety Science Quiz (NSSQ), a multi-format competition that invited participation from 85,000 students from grade IX to XII across 10 cities in the country in its fourth edition in 2017. Building on the success of the NSSQ, the comprehensive plan for NSSC involves expanding the outreach to children from younger age groups and involving several stakeholders in the school set up – teachers, principals and parents and eventually, policy makers in the education sector. 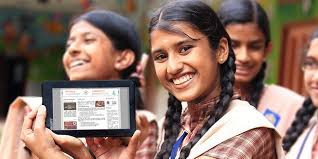 With an aim to engage over 10 million youngsters across the country, the three-pronged NSSC is designed as an all-year agenda where participating schools will get many opportunities to increase awareness around topics such as electrical, road, fire, cyber, environment and food safety that are relevant to everyday life. In addition to the NSSQ (focused on students of grades 9 – 12), the NSSC will include new avenues of expression through a poster and slogan contest (for students of grades 5 – 8) and a school contact program to establish safety clubs and provide safety mentorship training for teachers. The poster and slogan competition will be hosted digitally on the NSSC microsite and the quiz and school contact program will be held in the shortlisted cities – Bengaluru, Chennai, Hyderabad, Mumbai, Pune, New Delhi, Lucknow, Jaipur, Bhubaneshwar and Kolkata – covering all parts of India.